Trooper Dumont left the MIT shooting crime scene and when he arrived in Watertown at Dexter Ave. and Fairfield, he reported no police activity whatsoever. Remember Officer Colon who said he drove his car between Sergeant MacLellan’s and Reynolds’ cruisers? Third guy on the scene? This is about when he shows up – so he was the third Watertown cop on scene, but not the third cop on scene. When Officer Colon showed up, Trooper Dumont got out of his car and it was then he smelled gun odor and heard gunshots. He then followed “other police” (this included Colon but no idea who else) to the intersection of Laurel and Dexter where Officer Colon’s car was then struck by gunfire (although Colon failed to mention this in his interview). After bullets struck Colon’s car, Dumont witnessed an explosion. Bomb #1, 2, 3, 4? Who knows. Interestingly, Trooper Dumont noted that after the bomb detonation he fully suspected at that point that they were dealing with the Boston bombers. From Dumont’s position he could not see the suspects so he moved in front of 131-133 Dexter Ave where Cambridge Police Detective James Diggins joined him. Shortly after this he heard another explosion and moved to the northeast corner of Dexter and Laurel. I suspect this is around the area of the tree where MacLellan had hidden earlier. Dumont could see Tamerlan shooting at the police and he heard a third explosion and saw more cop cars convening on the scene. Something to note in Dumont’s narrative: At this point he heard officers yell that the suspects had entered backyards and were escaping. Huh. Escaping, eh? So Trooper Dumont eventually hears a fourth explosion which he reported was the pressure cooker bomb. That puts us at four bombs total that Dumont heard. There were five thrown during the shootout. 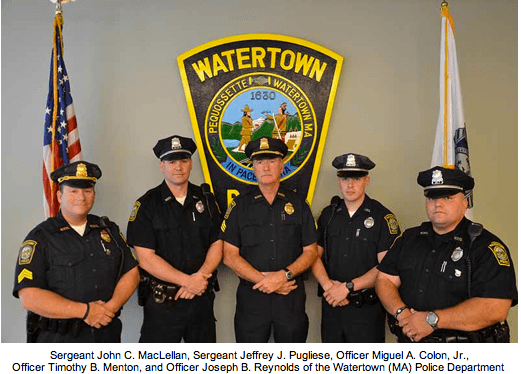 It appears that Watertown Officer Joe Reynolds and Sergeant MacLellan may have been the only ones that saw the first bomb that exploded while other officers only heard and saw the second, third, fourth and fifth bombs. That’s all splendid and all but, unfortunately, Sergeant MacLellan stated during his WEEI interview that the Tsarnaevs had deployed five bombs but only three exploded. Jahar’s indictment states that the Tsarnaev brothers travelled to Watertown with five IEDs but only used four of them. Ah…the details. Watertown officers agreed that the next Watertown officer that arrived on scene was Sergeant Jeff Pugliese (although this article from Boston.com states that Officer Michael Comick was the fourth guy on scene, not Pugliese). Sergeant Pugliese was the officer that pulled the stealth move by running behind yards to sneak up on the Tsarnaevs’ left side. When he got to the brothers he saw their feet movements behind one of the vehicles so he decided to take “skip shots” at them – hoping to take them out in their lower legs, ankles. 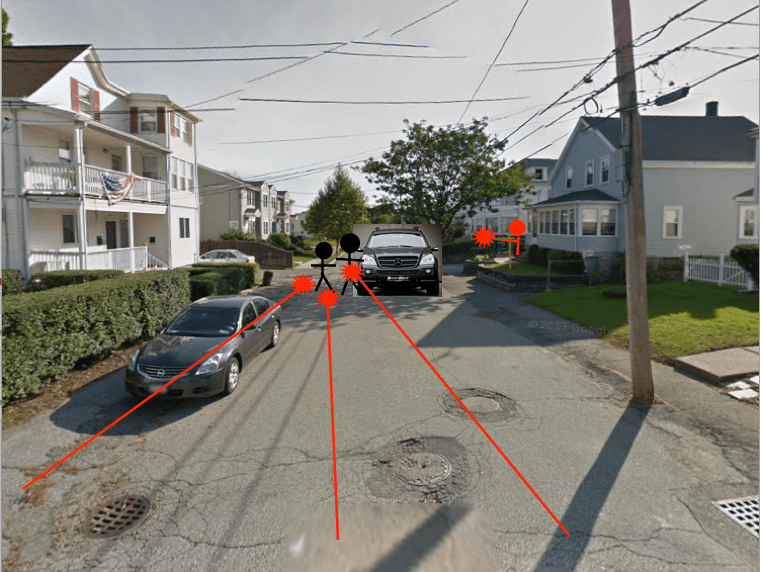 If Pugliese was to their left side and he only saw their feet wouldn’t that mean that Tamerlan and Jahar were standing on the side of their cars? How did they not get shot five thousand times? This is how I picture it: Anyhoo…apparently they did not get shot (Were they hiding behind the Mercedes door? Absolutely, if this article hadn’t quoted Pugliese as saying, “I could see Tamerlan and Dzhokhar in front of the black Mercedes. I could see muzzle flashes from both sides of the vehicle…”) and Tamerlan finally noticed Sergeant Pugliese to his side. Tamerlan ran towards him, both men engaged in gunfire. How far apart where they? Oh…about six to eight feet. Uh huh. And neither one shot the other, m’kay? Pugliese eventually ran out of bullets and Tamerlan’s gun stopped working so Tamerlan suggested best out of three, rock, paper, scissors. Pugliese was having no part of it so Tamerlan allegedly hightailed it out there and decided a quick sprint down the road towards the firing squad was the best course of action (you know that rock, paper thing was a joke, right?). What had Jahar been doing this whole time? Eh, no one’s ever said. Apparently it’s not important. So Pugliese tackled Tamerlan and Sergeant MacLellan jumped in on the action because, you know, Tamerlan had a bomb strapped to him and MacLellan wasn’t going to give the guy a chance to detonate that puppy (Isn’t it interesting that MacLellan regurgitated the same story about his fear of Tamerlan having a bomb strapped to him in every single interview and then we saw the same story printed by the media? Yeah. Wonder where that came from). I am assuming that the police had shot Tamerlan twelve dozen times at this point but Pugliese and MacLellan maintain that not only was Tamerlan still alive but that he struggled against the two officers trying to put his hands in handcuffs. Oh. Okay. They continued to try to cuff Tamerlan so they could check if he had any bombs on him. Or did they? According to the Bostonglobe.com it was not MacLellan and Pugliese holding down Tamerlan, it was a Boston cop by the name of Jared Gero. 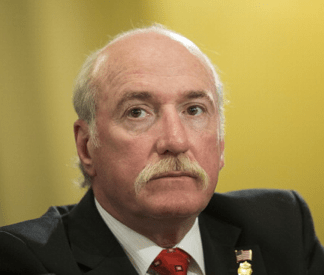 Boston police chief, Dan Linskey, apparently joined Officer Gero and the two of them “ripped Tsarnaev’s clothes from his body, frisking him for an explosive device. They found none.” Huh. M’kay. which interview you watch or what news story you read), Pugliese and Reynolds attempted to handcuff Tamerlan because, you know, there was a point at that point. Tamerlan had been shot 8-9 times and dragged under a SUV vehicle anywhere from 25-50 feet and he was, according to MacLellan, Reynolds and Pugliese, still alive! Of course he was. And folks, he wasn’t just alive, he was still wrestling against being handcuffed. And still wrestling after Officer Reynolds got him handcuffed! Good lord, for real? In the WEEI interview, MacLellan and Reynolds may have admitted what we have all assumed when they agreed with the interviewer that there was “no reason” at that point to take Tamerlan to the hospital. Yeah. Because he was already dead. 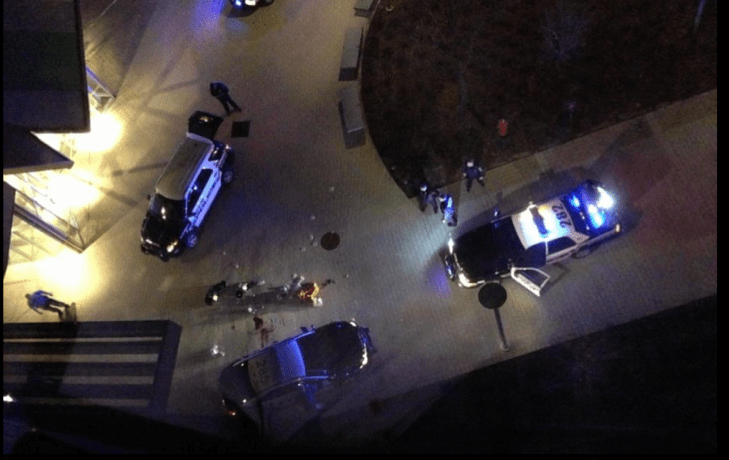 It was right before Jahar took off in the Mercedes that many of the officers heard “officer down” and the fight to save Office Donohue, who’s femoral artery had been severed by a bullet, began.